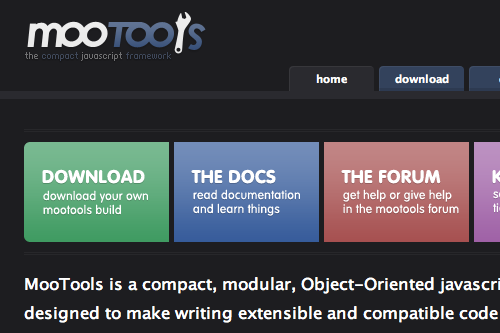 Mootools is also very light! I believe it is also lighter than Prototype Framework used in Ruby on Rails. You can check out some samples of what you can do using Mootools here, and read some great mootools tutorials (Mootorials) on the CNet website. Previous Previous post: Think Flickr, Think!